Judge Jeanine Pirro, the longtime prosecutor and judge who now is a host for Fox News, on Friday said Attorney General Loretta Lynch’s comments on her private meeting with former President Bill Clinton indicate Hillary Clinton will not be charged over her private email server. WND reported on the meeting Monday in Phoenix between Bill Clinton and Lynch. The AG said they talked about golf and grandchildren but not the criminal investigation of Hillary Clinton. The revelations about the meeting triggered a groundswell of demands that Lynch recuse herself from any decision in the case. And now Lynch has released a statement that she will “accept” the recommendations from the career lawyers and prosecutors in the Department of Justice on the case against Hillary Clinton. 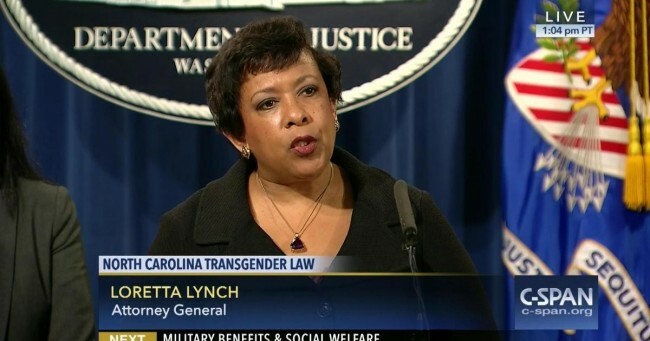 Pirro, however, said Lynch really is not doing anything significant. “No, she’s not stepping aside from it,” Pirro said. “She says she is accepting the determinations and findings of career prosecutors and lawyers as well as FBI investigators and Director Comey,” she said. “That means she is accepting their determination. Pirro pointed out that Lynch is the only one who can give prosecutors “access” to a grand jury. However, Pirro said, Lynch works for Obama, and Obama previously has stated there was no problem with Clinton’s email system. “All the crumbs are leading to the fact that Hillary Clinton will not be indicted,” she said. “This happens all the time … prosecutors say to cops. … You know it looks like you got a prima facie case, but I can’t prove it beyond a reasonable doubt,” she said. Pirro said Lynch earlier sent powerful messages to Obama about the case, suggesting Obama could end up being the first witness if ever there was a criminal trial. “Hillary emailed President Barack Obama. He knew she had a private email server. He is complicit. They will not allow a constitutional crisis where the president of the U.S. knew about the risking of security,” Pirro said. In a question-and-answer session at a Colorado event on Friday, Lynch repeatedly said she will “accept” the recommendations from investigators working on the case against Hillary. But she also revealed that there are levels of “supervisors” who will review the recommendations, as will the director of the FBI. She repeated that her conversation with Bill Clinton was social. “It really was in that regard,” she said.